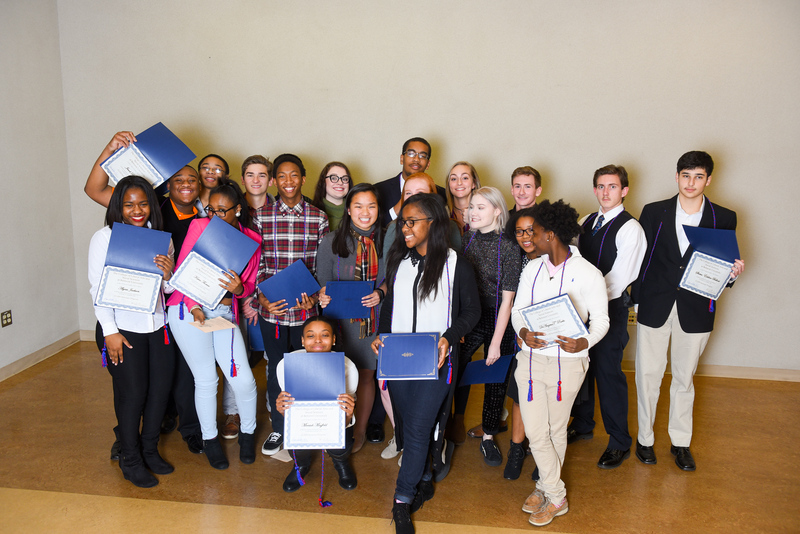 On December 15, the inaugural group of CLASS Scholars (Class of 2017) celebrated completion of the program with a graduation ceremony. 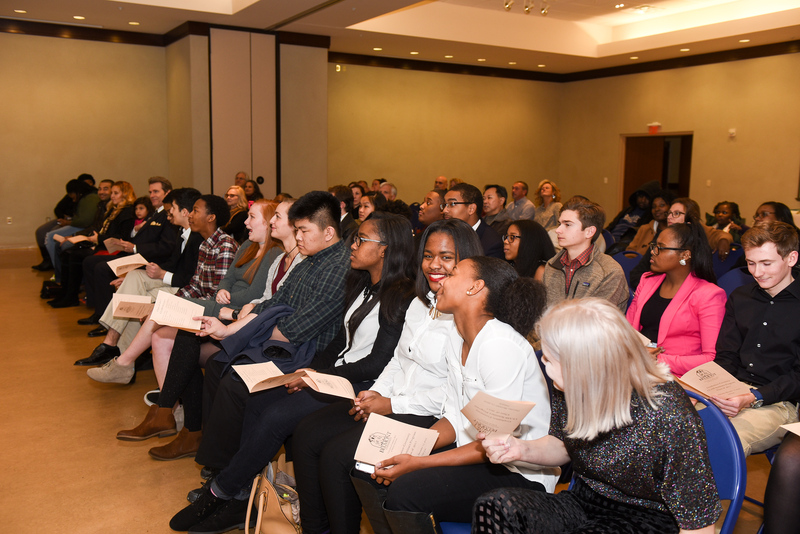 After remarks from College of Liberal Arts and Social Sciences Dean Bryce Sullivan and Professor David Curtis, the Scholars received their cords and certificates. A photo session and reception followed. 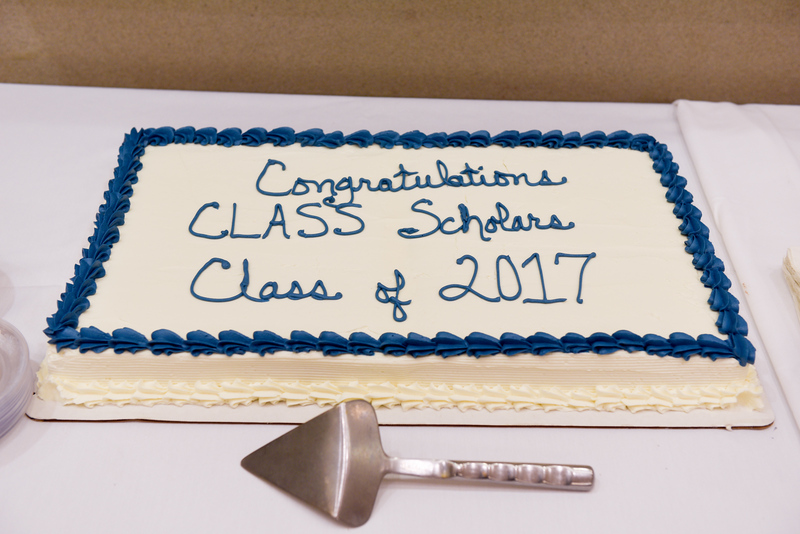 Thanks, Class of 2017 (and families), for getting the CLASS Seminars off to such a great start!